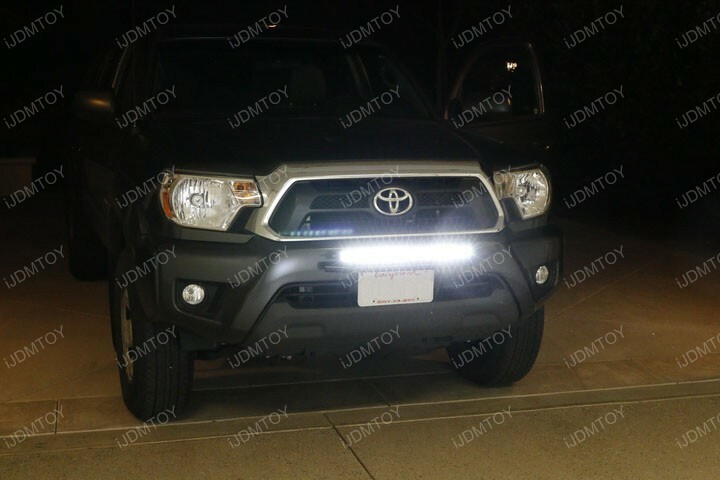 We are pleased to introduce to you our LATEST LED light bar design! Dealing with light bars with annoying screws sticking out the way they do is very cumbersome and irritating at times because they make the installation process longer. How are you supposed to slip your LED light bar in between your mounting brackets when there’s a metal rod sticking out on both ends? Moreover, you’re stuck in the mud if these threaded screws break off! So instead of working with built-in screws, bolt your screws on your single-row LED light bar instead! Calling all Ford Raptor SVT owners! This is a sweet set of bar style LED fog light bars that’s powered by extremely bright CREE LED for an unparalleled output. This Ford Raptor LED fog lamp kit also comes with exclusively designed custom mounting brackets which allow for a direct and easy bolt-on installation without any drilling, cutting, or modification required. Each LED fog light measures at 7 inches and has a whopping 36W output for an unbeatable illumination. 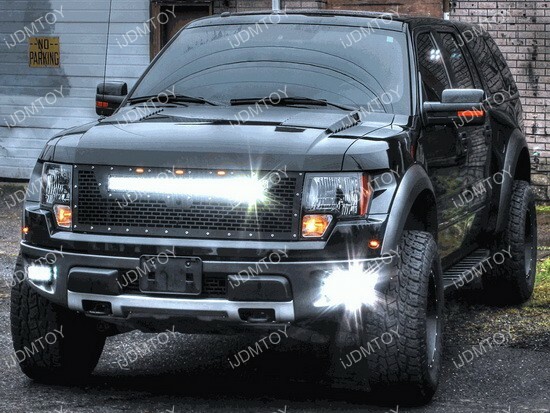 Once you install these LED fog lamps on your Raptor, you’ll know exactly what it means to be the top dog. Sometimes, we get the pleasure of inviting drivers who are local to test out some of our new lights. 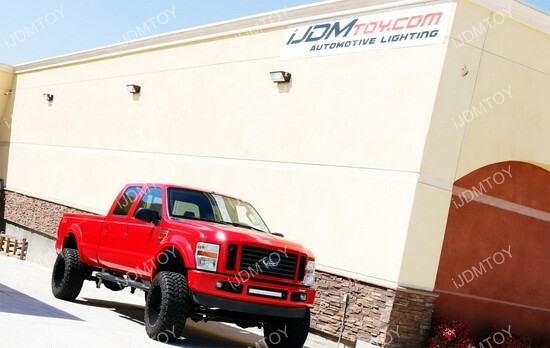 We spotted this fire engine red Ford F-250 and we knew we had the perfect LED light bar to install on the truck. This is a 120W high powered LED light bar for the 2008-2010 Ford F-250 and is great if you driver your truck on the city streets as well as off the road on some beaten terrain. The super bright output of the Ford F-250 LED Light Bar ensure that you never have to worry about having inadequate lighting. Everyone knows that lighting is absolutely essential to driving at night so you don’t have to sacrifice the look of the truck with safety.